For those of you wondering who Rua is, he’s our fairy, I mean, he’s our daughters fairy. 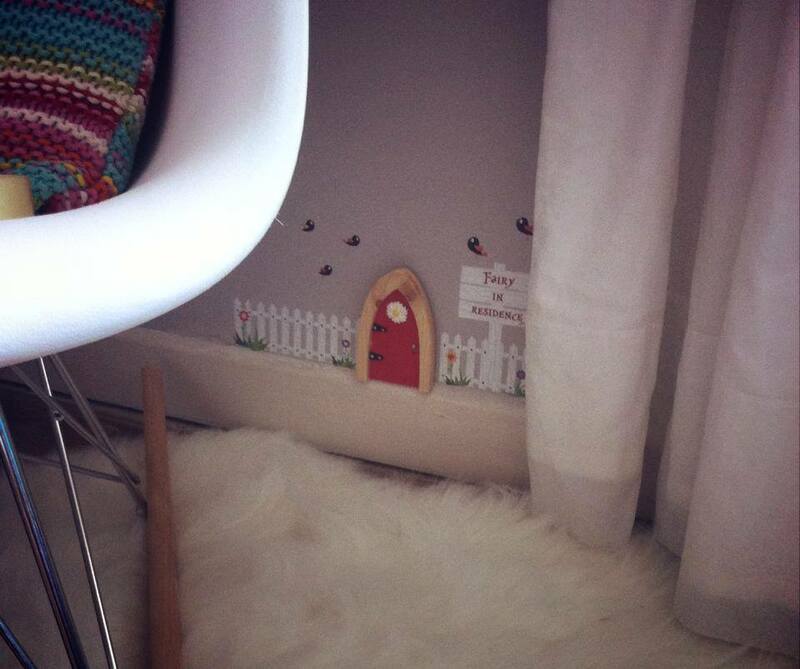 Rua lives beyond the fairy door in O’s bedroom and he first came to her attention late last year. She was very interested in him and how he would interact with her. She was only two and a half when she first noticed the door on her skirting board and now at age three she loves it when Rua leaves her a treat and sometimes she even talks to him! But Rua only leaves a treat at his door when O is very, very good and that’s why he hasn’t been around for a while because she is the opposite of being very, very good these day’s. I wouldn’t call her a problem child just yet but she’s really testing my patience lately. A naughty child that doesn’t listen grates on me. There literally is no talking to her. Sometimes I think I must be dead and that she can’t physically see me because it’s like she doesn’t hear me AT ALL. There was a time I, (or I mean) Rua, would leave her a treat almost every day. That’s how good she was. She obviously had her naughty moments like any normal child but that was easy to deal with, these day’s it’s bordering on me wanting to abandon everything and just get away from her. Because of all this change of character and her not doing what she’s told, Rua doesn’t leave little treats for her at the moment. He’s “helping” us teach her a lesson or two, well that’s the plan. Imagine I’ve enlisted the help of a fairy! So my plan goes like this – When she asks me why there’s nothing for her at the fairy door, this is my queue to give a little hint as to why Rua may not have given her a treat, hoping something will click in her little brain. You know, because three year olds get those kind of hints! But on the other hand if I persist she may just catch on to this and change her attitude. The only upside at the moment is, that this bold streak only happens at home or at least within my close knit family. I couldn’t bear her being naughty in public. I keep having to remind myself that it’s just a phase because that’s really all it is and apart from the odd meltdown from both of us, I’m trying to deal with the situation as best I can and basically teach her what’s right and wrong. I kneel down to her eye level to argue reason with her (just like Super Nanny Jo Frost told me to) not personally though, I saw it on TV. I don’t point my finger at her (that’s degrading apparently). We try but fail miserably to introduce the bold step. She’s so stubborn she won’t stay there. She’d be bold like that. I wait for an apology. It’s a long wait at times but it always comes good in the end. When things get really heated I walk out of the room and close the door. That way I can calm myself down before I either implode or explode. The main strategy I’m trying to focus strongly on is – to not let myself get so worked up. I have a fiery temper when I’m under pressure, I need to remember that she is 3 years old and I’m (nearly) 33 years old. She’s got a lot to learn and I’m here to teach her. We’re both experiencing these new phases and deep down I know we’ll come out good the other side. I do hope we have a normal day soon though because Rua is just itching to give her some of his chocolate treats.